This week at the 2015 Geneva Motor Show, the 2015 Jeep Renegade Hard Steel concept will make its debut. The new compact off-roader features a brushed steel exterior enhanced by a matte black color contrast, not to mention some nifty BF Goodrich All Terrain tires. 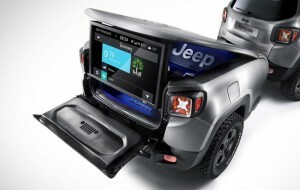 Perhaps the most intriguing picture jeep has released regarding the 2015 Jeep Renegade Hard Steel concept is the trailer, which comes equipped with a large infotainment touchscreen. 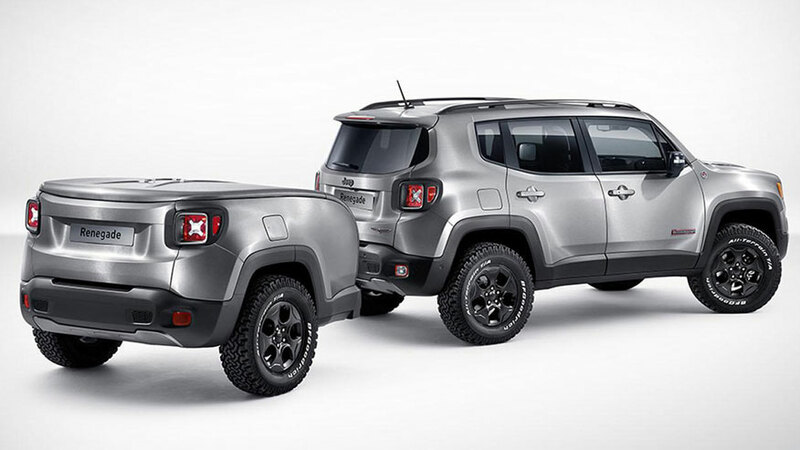 We will have more details on this steel beauty after its Geneva Motor Show appearance.